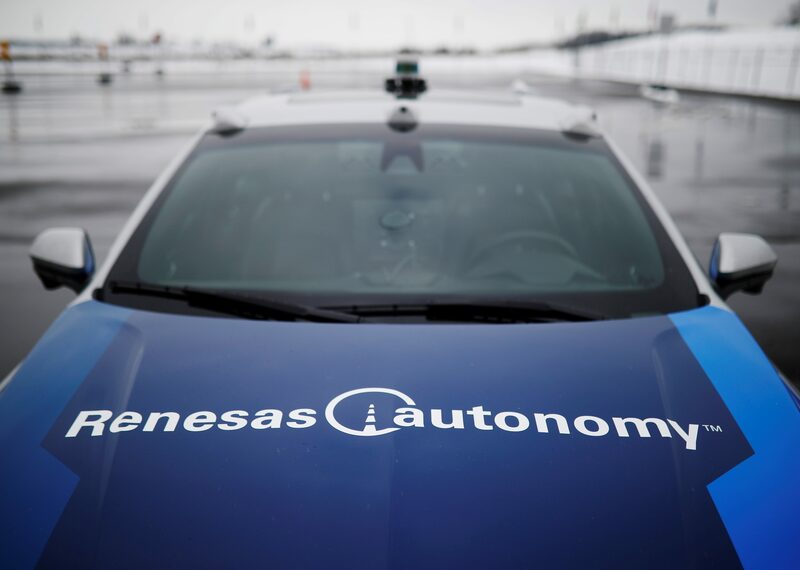 A self-driving car is parked at the Renesas Electronics autonomous vehicle test track in Stratford, Ontario, Canada, March 7, 2018. Picture taken March 7, 2018. Japanese chipmaker Renesas Electronics said on Sept. 10 it had agreed to buy U.S. peer Integrated Device Technology for $6.7 billion, excluding debt. The deal values IDT’s shares at $49 each, a 29.5 percent premium to where they had been trading on Aug. 30 when Renesas first said it was considering buying the company. Renesas plans to borrow 679 billion yen, or about $6.2 billion, to help pay for the deal, which would give the combined company net debt of 3.2 times EBITDA. It expects to cut that ratio to about one times in about two years. Some $250 million of annual synergies related to the transaction are projected by Renesas over the long term, including $80 million of cost savings within two years of the deal closing. Renesas shares closed 4.4 percent higher at 754 yen on Sept. 11. They had been trading at 840 yen before news of the possible acquisition surfaced. Morgan Stanley, BofA Merrill Lynch and Mizuho Securities are advising Renesas while JPMorgan is advising IDT.